mcbrooklyn: How Can SUNY Downstate Design a Brooklyn Healthcare Network When They Can't Run LICH? SUNY Downstate, as part of a state-mandated "Sustainability Plan" to save itself from bankruptcy, came up with a scheme to create a corporation to organize a voluntary network of hospitals in Brooklyn. This network is supposed to support SUNY Downstate's medical teaching program, reduce redundancy of hospital services, distribute federal funds, and reduce costs, all seemingly desirable goals. But it's also about saving SUNY Downstate from its own poor management and making sure it no one expects it to carry out any of the recommendations of its expensive consultants or the recommendations of the Brooklyn Work Group (the Berger Commission) which came up with an extensive plan for restructuring health care in Brooklyn in 2011. The Brooklyn Work Group in 2011 recommended that Brooklyn's northern and central hospitals band together for all the previously-mentioned benefits. 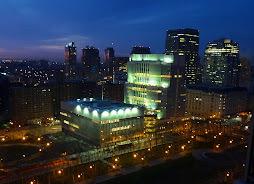 They also recommended SUNY Downstate consolidate its inpatient services at the LICH campus, thereby eliminating excess capacity and permitting SUNY's Medical Center to focus its inpatient resources and expertise in one location.The Work Group also recommended against any development of an ambulatory facility in the vicinity of SUNY Downstate (University Hospital) or in the former Victory Hospital. SUNY never did what the Work Group recommended. Instead, it transferred millions of dollars out of LICH, decimated LICH's staff, scared away patients and doctors, and nearly destroyed the first teaching hospital in Brooklyn. A multimillion dollar ambulatory facility at Downstate is on the drawing board, with no way to pay for it except by selling off LICH's irreplaceable real estate. In February, Berger said he changed his mind about moving Downstate's (also called University Hospital of Brooklyn, or UHB) inpatient services to LICH -- because, among other reasons, there were hardly any inpatient services to move to LICH. "Though several years ago, UHB did about 100 kidney transplants and several hundred open heart surgery cases each year, UHB now does about 35 kidney transplants and relatively few open heart procedures," Berger said. "In summary, this aspect of the plan failed because, very simply, there wasn't much business to move to LICH and there were various obstacles in moving, frankly, any business at all to LICH, which is after all in a completely different market." Compared to SUNY Downstate, LICH is absolutely buzzing (Not this week folks! SUNY has guards posted to make sure doctors don't sneak in patients!) and the neighborhoods surrounding LICH are booming. 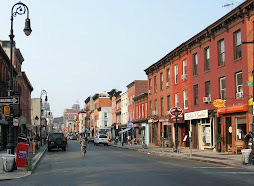 Cobble Hill, Carroll Gardens, Red Hook, Boerum Hill, Brooklyn Heights, DUMBO, Downtown Brooklyn, Brooklyn Bridge Park -- probably no other sector in the whole city has experienced such an inflow of residents and new businesses. New schools are moving in. 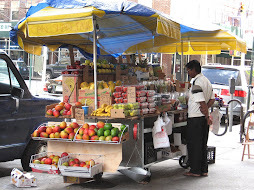 Expensive chains are pushing fruit stores out of Court Street storefronts. Herds of fun-seekers roam Smith Street's restaurants and clubs. Thousands flow into Brooklyn Bridge Park on weekends. The Brooklyn Tech Triangle is attracting startups to Downtown, DUMBO and the Navy yard. Major chains are moving to Fulton Street. Hotels and condos are shooting up all over Downtown. The Civic Center is getting a major do-over. This is not the time to sell off -- or "monetize," as the double-speakers say -- the only hospital within miles. This is the time to beef up LICH and watch it become one of the busiest hospitals in the city. SUNY Downstate may be a vital teaching hospital but as far as health care in Brooklyn is concerned, their current management is toxic. SUNY's management may have put themselves in contempt of court by gutting LICH, a truly vital piece of Brooklyn health care puzzle, and throwing other hospitals into chaos while doing it. 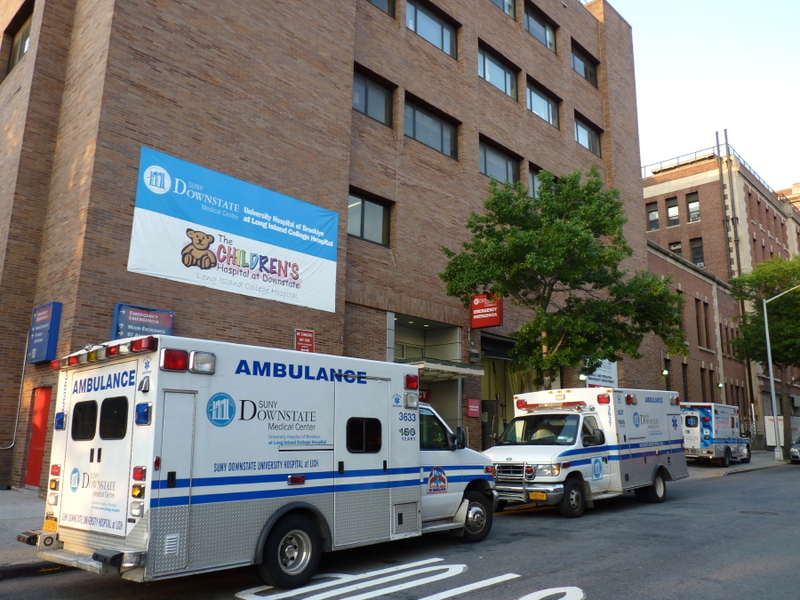 SUNY's banning of ambulances from LICH is a lawsuit just waiting to explode. Who will die first? A child from Red Hook? Someone with asthma in Cobble Hill? A judge having a heart attack at the courthouse in Downtown Brooklyn? Downstate has also alienated the very people who would normally have jumped in to support the borough's only medical school. People are refusing to get into SUNY Downstate's ambulances, taking their chances with car services to LICH, where as long as they can drag themselves in they'll get treated, though not admitted. Downstate's PR or lack thereof is a total disaster. Brooklyn's wealthiest neighborhoods have suddenly decided not to donate anything to SUNY. SUNY has created a them-against-us division between sections of Brooklyn. It's Brooklyn's version of "Survivor," but it's life or death. Which million people will get a hospital and which won't? Whose kids will die if they they hit by a car and whose won't? How Can They Possibly Think No One Will Notice? With this history, how can SUNY's new sustainability scheme not be a total fiasco? Will Downstate drag down other hospitals in its new network the same way it dragged down LICH? Why in the world would any hospital want to link arms with Downstate's reckless management? The network plan gives SUNY more power than it gives the other hospitals in the network. According to Senate Bill S5902, the chancellor, "for the purpose of implementing a sustainability plan for Downstate Hospital is hereby authorized to enter into a contract or contracts under this section without a competitive bid or request for proposal process," regardless of the requirements of the state finance law, the education law, the economic development law, or any other law. In April, 2012, State Controller Thomas DiNapoli said that fraud plagued the bidding process for construction projects at SUNY Downstate and hospital officials never caught on. (NY Daily News) Now they alone can sign no-bid contracts? It's wonderful when someone up there likes you. By the way, there will be 13 directors on the corporation's board. Seven will be appointed by the Governor. Coincidentally, exactly seven votes are all that will be needed to conduct business. Wink wink. Also written into the bill: "No reform incentives shall require directly or indirectly the reduction of beds at Downstate Hospital to fewer than 250 or the closure of SUNY Downstate Medical Schools." No such language about the number of beds at other hospitals in the network. "FISCAL IMPLICATIONS: To be determined." Is anyone in charge here??? It seems that someone is out to make a lot of money selling off the LICH real estate. Governor Cuomo's name has even been mentioned. After Superstorm Sandy many hospitals have been basically destroyed. Som e have reopened, some have not. It seems. Very irresponsible to voluntarily close a viable hospital, which by the way was not touched by Sandy wven though it is close to water. Ambulances are rerouted away from LICH. Once something is taken away from a community, it never comes back. Thank you for this article, the word need to be spread! Yes! Finally someone speaks the truth. They have utterly misnangvtheirvown hospital and ruined LICH and now they want MORE money and power! No way. I vote McBrooklyn for BP!! Thank you for seeing so clearly what is being done to LICH & what some of our elected officials ( Senator Adams & Parker, et al) have turned a blind to while proposing the new bill setting up this SUNY "Brooklyn Trust Network". 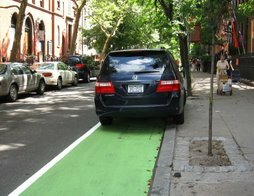 I'd like to copy this blog piece & hand it out all over the borough. Brooklyn, WAKE UP & demand your Governor come to his senses, stop the insanity & save LICH (which is still open & can still survive & thrive once it gets rid of the SUNY cannibals). The downtown Brooklyn neighborhoods need a community hospital that can meet the new health challenges of the future, especially the aging baby boomers. Why are the bureaucrats planning to close the hospital, when anyone with common sense knows that the aging baby boomers, who want to live active lives, will put new demands on Brooklyn's health-care system? There needs to be an evaluation and a comprehensive plan as to how LICH can be positioned to be in the forefront of innovative technology, and services to meet the health challenges of the baby boomers. Boomers have lived through an amazing array of medical advances, from polio vaccine to radical heart surgery, and that trend will continue over the next two decades. Procedures like minimally invasive surgery, new imaging techniques that "see" through the skin, and remote care technologies will improve the quality of many Boomers' lives allowing them new opportunities. Other hospitals throughout the country have recognized the future needs of the "boomers" and are building new hospitals to meet these challenges. Why can't LICH do the same? There are plenty of successful hospitals that could serve as a model for LICH. A good example of a hospital for the future is the SUMMA hospital network in Akron, Ohio, which has put together a network of hospitals and 1,000 doctors that serve a half million patients in NE Ohio each year. They also have a subscription health plan, like Kaiser Permanente in California, called SummaCare, which provides medical coverage for more than 80,000 members in Northeast Ohio. All of the small adjacent communities have satellite facilities, including the small town where my brother lives, which has a SUMMA wellness center that features the latest in fitness equipment and includes a 25-meter lap pool, a full gymnasium, a walk/jog track, 2 group exercise studios, strength training and cardio equipment. SUMMA understands the importance of wellness centers for the aging baby boomers. Another hospital trend is physician-owed hospitals. SUMMA has a physician-hospital joint venture between Summa Health System and Crystal Clinic and Orthopaedic Center, located on the Summa St. Thomas Hospital campus in Akron. I doubt that there is no one in this or the entire Brooklyn community that is willing to stand up to Governor Cuomo to protect themselves and their families from the risk to their lives that SUNY Downstate officials are forcing upon them. In fact, I think that this whole community is willing to stand up to Governor Cuomo and demand that he step up with some leadership, protect Brooklyn patients, stop the dismantling of LICH, and resume its hospital services. Actually, I think they're willing to do it right now & are doing so. LICH belongs to them - the community - the public, not SUNY or its henchmen Dr John Williams, Dr Michael Lucchese, George Caralis, or M Karkenny. The Brooklyn Game: Fireworks or Gunfire?